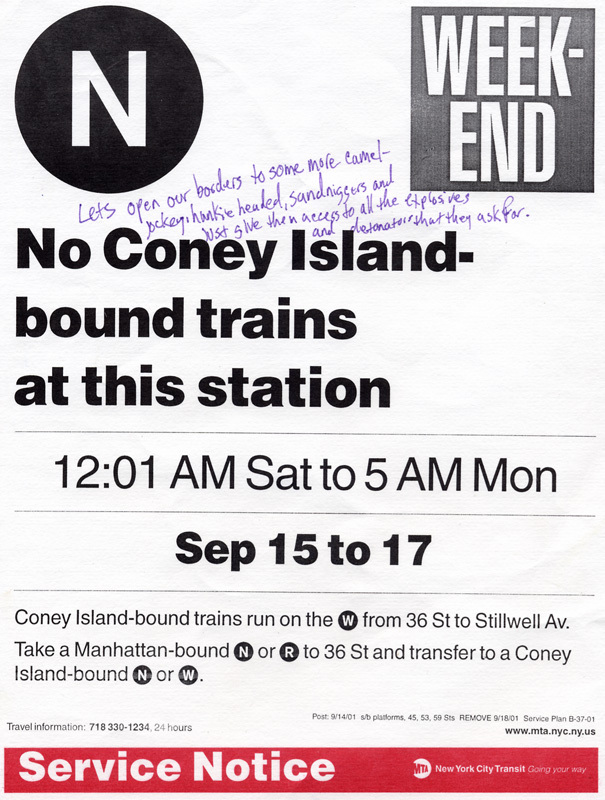 Racist graffiti on New York City MTA service notice found in the subway following 9-11 , September 2001. 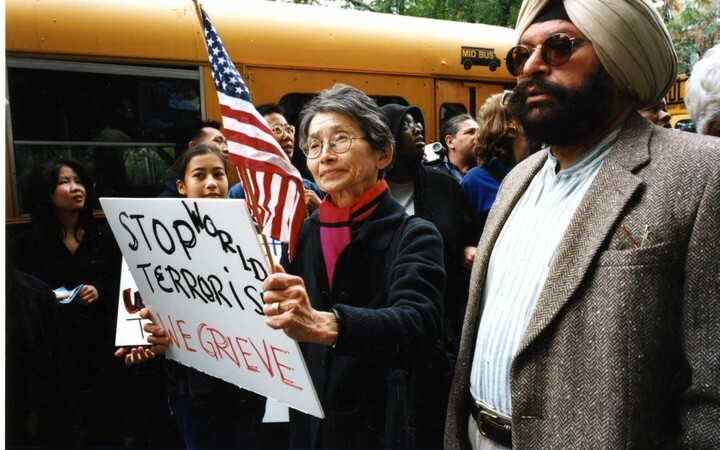 Japanese American Citizens League New York Chapter President Dr. Sumi Mitsudo-Koide and City Council candidate Inderjit Singh at a teach-in at New York. Photo © Corky Lee, September 22, 2001. 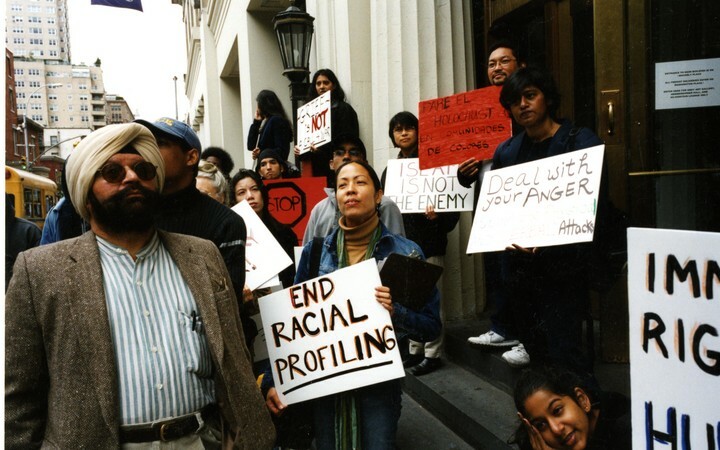 RPost 9/11 teach-in at New York University. 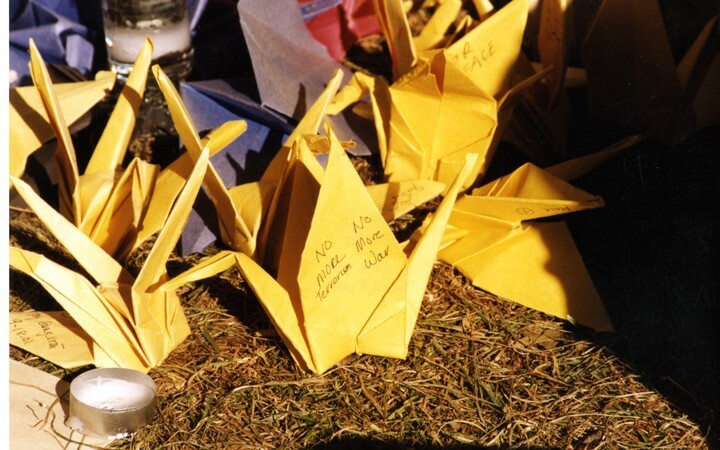 Oragami cranes at Union Square 9/11 memorial. 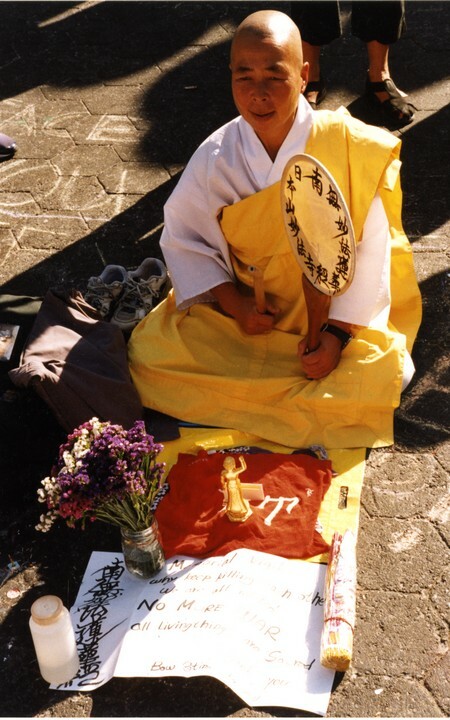 Buddhist monk keeping a memorial vigil at Union Square.